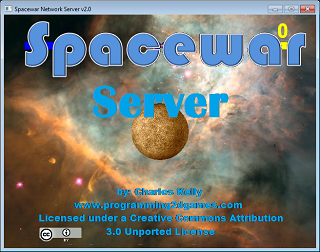 A console program that allows users to send messages back and forth across a network. Demonstrates using Winsock to send and receive data across a network. Demonstrates how to use the game engine's Net class. A network playable version of the Spacewar game. A dedicated server supports two client connections. 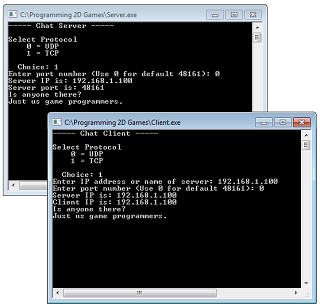 Demonstrates a client/server game configuration with a dedicated server.